While many women believe that their razor is the key to getting the best shave, the lubricant you use to shave with is just as important — if not more important! It’s not enough to just use water or soap, either. You really need a good shaving cream to properly shave your legs and keep your skin looking and feeling it’s best. That’s why we’re going to tell you why you should use a shaving cream, why a cream is better than a shave gel, and we’ll be sharing our top 5 picks of the best shaving cream for women. WHY SHOULD I USe SHAVING CREAM? There are numerous reasons why you should use shaving cream instead of using soap or just water, but the main reason is simply that it’s better for your skin when you shave. A good shaving cream is a great way to shield your skin, especially if it’s sensitive. A shave cream will create a barrier between your skin and the blades, allowing the razor to effortlessly glide across your skin. Without shave cream, your razor will pull at your skin, leading to nicks, bumps, or irritation. Overall you'll have a much better shaving experience with shaving than without it. You won’t have the play the guessing game anymore like you normally have to do with soap or plain water. The shaving cream makes it easy to see which parts of your skin your razor has already passed, so you won’t have to dull out your blades by passing over the same spot on your legs over and over again. Skipping using shaving cream when shaving your bikini area can cause a lot of irritation on sensitive skin. Using soap, or worse nothing at all can cause razor bumps, irritation, and ingrown hairs. It's important to not just use any shaving cream. For a smooth shave that's bump and irritation free, try a moisturizing shave cream with ingredients like Shea butter, olive oil, or coconut oil. Do you have dry skin? There are plenty of moisturizing shave creams out there. Do you have sensitive skin? There are a ton of shave creams that will fight sensitivities and razor burn. No matter your skin type, you’ll be able to find a shave cream that not only gives you a nice, close shave but also helps save your skin. Shave creams generally contain better ingredients for your skin than shave gel, especially if you have dry or sensitive skin. Some of those moisturizing ingredients can include jojoba, aloe, essential oils, and Shea butter. Additionally, many shave gels tend to contain quite a bit of alcohol. This will dry out your skin. It’s much easier to find a moisturizing shave cream that won’t irritate your skin! We have put together a list of the 5 best shaving cream for women to give them the best shave experience possible. Make sure to check out each of these products to find the right one for your shaving needs and skin type! This shaving cream will give you a close and comfortable shave while fighting nicks and razor burns. The unique shave cream formula contains “impossibly slick molecules,” allowing your razor to effortlessly glide over your skin. It will leave your skin feeling extra smooth and soft! What are the ingredients that will help my shave and skin? 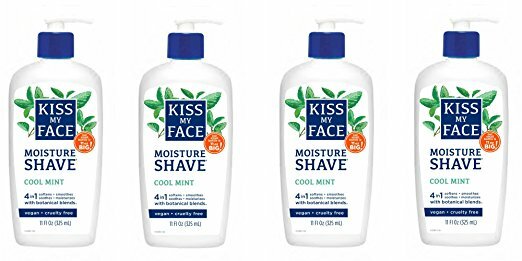 : This shave cream is made with natural ingredients, like Macadamia Seed Oil, Aloe, Calendula Extract, Lemon Extract, Papaya Extract, and Olive Leaf Extract! Bonus: This shaving cream also comes in different scents, including French Lavender and Coconut Mango. 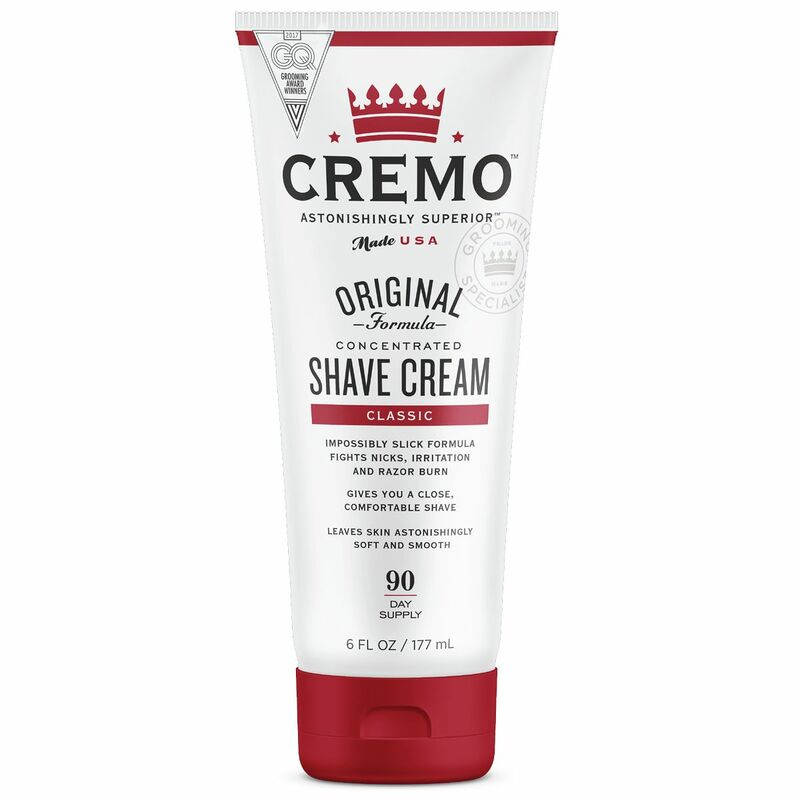 This shaving cream has a unique 4-in-1 formula that gives a clean shave while softening, smoothing, soothing, and moisturizing. You can use this on your legs, face, and underarms — and it even comes with a convenient pump! How much will I get? : If you purchase the pack of 4, you get four 11-ounce bottles. What are the ingredients that will help my shave and skin? : Olive Oil and Coconut Oil to moisturize your skin; Golden Seal, Lemongrass, and Aloe Vera to soothe it; a natural Cool mint scent to invigorate your senses. The botanical blends including Lemongrass and Soapwort help cleanse. The Goldenseal also helps protect against nicks and cuts! Bonus: Cruelty-free and vegan formulated with gluten-free ingredients. It is also paraben and phthalate free! Where can I buy it? : Click HERE to purchase! This shaving cream is for both men’s and women’s use. 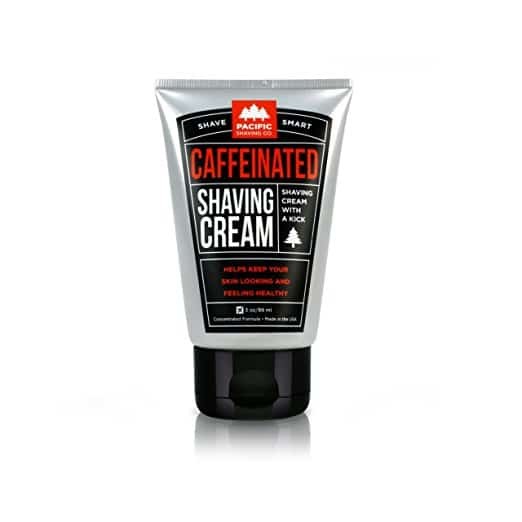 The cool thing about it is that it uses caffeine to give you the best shave, reduce redness, and keep your skin looking and feeling it’s healthiest. How much will I get? : If you purchase a 1 pack, you will get a 3 ounce tube. What are the ingredients that will help my shave and skin? : The main ingredient that is unique about this shaving cream is that it is fortified with antioxidant-rich, naturally-derived caffeine. Bonus: This shaving cream has no animal testing, is vegan, and is made in the USA. This Coochy shave cream is specially formulated to be rash-free. It is formulated to give you everything you need to keep your intimate areas in tip-top shape. Made with high-quality hair and skin softening ingredients, you’re sure to love this! What are the ingredients that will help my shave and skin? : The cream contains beneficial ingredients and provitamin B5 to help you get a close shave. It is also water-based and is fortified with Jojoba. This shaving cream is made to use wet or dry — whenever and wherever. It includes tons of moisturizing ingredients, and antioxidants to boost your skin’s radiance and sheen. And an added bonus — the bottle is made so that it won’t leave a rust ring in your shower! What are the ingredients that will help my shave and skin? : This shave cream contains tons of moisturizing ingredients, like aloe, oat, and shea butter. These are all made to soothe your skin. Ready for a better shave? So there you have it — five of the best shaving cream for women.  If you’re looking for a razor to complement your new women's shave cream, be sure to check out 99 Cent Razor here. Better yet, get a razor blade subscription AND Cremo shave cream!